Seemingly incurable disorders like depression, autism, ADD and eczema all have one thing in common: gut problems. Find out why and natural solutions for what to do about it in this TOP-recommended book! Most people think that psychological problems like depression, bipolar disorder and schizophrenia are "all in our heads" and that diet and lifestyle have nothing to do with it. With conditions like autism, dyslexia, ADD, ADHD and dyspraxia on the rise, mainstream medicine is expecting to find the origin of these disorders in our genes. These seemingly "incurable" disorders are being treated with drugs that only mask the symptoms and have troubling side effects...if they work at all. Dr. Natasha Campbell-McBride MD, MMedSci (neurology), MMedSci(nutrition) has a different point of view. As a mother of a young son who was diagnosed with autism, Dr. Campbell- McBride believes that these children and adults are falling into the "gap" of our medical knowledge. Today Dr. Campbell-McBride's son is a bright, happy teenager who has been fully recovered from autism for years. Dr Campbell-McBride used a specific diet that was focused on healing his intestines to reverse his condition. The bottom line is that people who have the brain related and neurological problems are suffering needlessly because of we lack knowledge about our gut and our brain and how they work together. All of the above disorders have surprisingly common traits: gut problems. Through Dr. Campbell-McBride's research and clinical experience, she realized that a child's digestive system holds the key to his or her mental development. In her groundbreaking book, Gut and Psychology Syndrome, Dr. Campbell-McBride uncovers the link between a variety of disorders (learning disorders, psychological disorders, eczema, asthma, allergies and more) and the condition of our digestive system. The verdict is that what we eat and drink plays a much bigger role than we might think. Gut and Psychology Syndrome provides information that is easily understood by the beginner and thorough enough for the advanced. 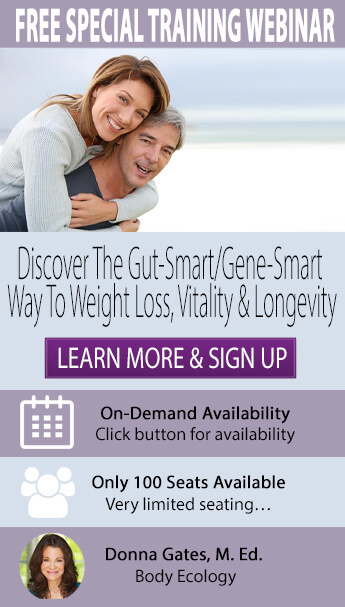 It shines the light on why all diseases begin in the gut, how to rebuild your gut flora (beneficial bacteria that helps boost your immunity) and establishes a roadmap for recovery. Suggestions for diet, detoxification and supplementation are provided, along with recipes so you can begin nourishing yourself and your family to health. Donna Gates and Dr. Campbell-McBride met at a conference on autism in Chicago several years ago and became close friends. Raised in Russia where fermented cabbage, kefir and Kvass are part of an every day diet, Dr. Campbell-McBride already understood the value of fermented foods although she had not written about them. Her excellent Gut and Psychology Syndrome book is based on her own experience and research with the specific carbohydrate diet. Both Donna and Dr Campbell-McBride believe strongly that autistic children (and many adults as well) do best on a diet where gluten and casein are eliminated when the intestines are inflamed. They both believe that fermented foods are a must. The top-recommended Gut and Psychology Syndrome is a book that will complement and expand upon your Body Ecology lifestyle. Order your copy of Gut and Psychology Syndrometoday and find unique insight into why these conditions perplex medical science - and how you can be empowered to find natural solutions.